Has America Lost A Sense of Its Own Greatness or, Why Do Americans Hate Each Other? As a Canadian I have had the advantage of viewing life in America through many different lenses in the past year. From issues with bullying in schools, the legality of the new health care bill, and debates surrounding Arizona immigration and the associated rampant be-headings in the desert, to the impassioned debate regarding the Ground Zero Mosque and the pending Islamic Fundamentalist takeover of the United States and, thanks to The Donald’s recent comments on the View, the contentious issue surrounding the President of The United States’ American lineage. All that’s needed now is the Torpedoes of Truth rantings of a Hollywood megastar, and 2011 will have already achieved the coveted unforgettable status as a memorable year, keeping in mind that there is still another nine months ahead of us! Funny, during the harsh Canadian winters our biggest issues are centered on who will win the next Tim Horton’s Roll Up The Rim automobile, and the semi-regular rantings of the opposition parties regarding the purported unchecked and corrupting arrogance that permeates the present Conservative Administration in Ottawa. Suffice to say, and purely from my point of view, if Canada and the United States were television shows, I would have to tune into our American Cousin’s broadcasts based solely on drama and pure entertainment value. 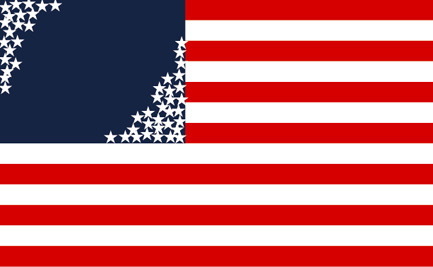 So what’s happening in America, because it sure doesn’t seem like the same old – same old gotta love the Red, White and Blue machinations of the greatest country on earth. I mean, there seems to be a very real and divisive animosity reflected in the hard and siloed lines of discontent. In short, this is not the kinder and gentler republic musings of the George Bush era that was wistfully reminisced about in Mary Caputi’s book A Kinder, Gentler America. In her book, Caputi talks about the tragic disillusionment with the liberal present that is being driven by what she describes as the neoconservative recollection of an America of the 1950s, when there seemed to be a clearer sense of what it meant to be an American. Referring to this paradox as the right’s invocation of the mythical 1950s and the left’s criticism of the same, the underpinning hope that promises to bridge the growing chasm of bipartisan values is the mutual realization of a common unfulfilled desire. She then proposes that by understanding this loss both sides can begin to accept that American identity, despite chaos and confusion, lies in the here and now. In essence, America will truly find its unified self in the reality of a rapidly changing world through the recognition of the very differences that now seem to be rending it apart. The key concern with the viability of this consolatory view is whether or not the hurtful and intolerant voicing of conflicting opinions that have replaced the respectful debate of opposing positions, can be mediated to the point of a lasting armistice. Take the questions surrounding the building of the Ground Zero Mosque, or simply voicing the existence of suspicions that President Obama is not an American by birth, and you can see a level of vitriolic response in the opposing sides that actually transcends the argument itself. It is as if there is a spirit of arguing for the sake of arguing with the combustible issues of the day merely providing an ignitable reason for dissent and acrimony. It makes one wonder if Americans actually hate each other. The saying a house divided against itself cannot stand, immediately comes to mind in the face of such unbridled hostility. Ironically, it was during another contentious and divisive period in American history that Abraham Lincoln delivered what became known as The House Divided speech on June 16, 1858, in Springfield, Illinois, when he accepted the Illinois Republican Party’s nomination as that state’s US senator. America of course did persevere through a civil war to become a united nation and a world power. However, and this is worth noting, the issue in Lincoln’s time was centered on the division caused by slavery. An important point of moral sensibilities, but one in which the lines of disagreement were clearly drawn and understood. Today, the fragmented elements of multiple flashpoint issues make it far more difficult to identify let alone collectively address the antagonism of what appears to be a growing intolerance between groups as well as individuals. In short, is America imploding? There are no easy answers, however over the next several weeks we will examine a number of the polarizing issues that appear to pose the greatest threat to a United States of America. No my friend…America is not imploding, nor have we lost our sense of greatness. “I began writing this book in the midst of America’s worst economic recession since the Great Depression. People are losing jobs, businesses, and homes. Too many people have lost their savings and retirement as our banking and investment system implodes. Others are taking jobs well beneath their training, talents and abilities just to get by. Too many others are selling their homes at a loss or returning to work after earning a well-deserved retirement. “The recession has affected the entire world. Our world is now completely connected and inter-dependent. The global economy is no longer a dream or specter depending on your perspective; it is a reality that we all should try to understand and that we all have to live with. Conditions and circumstances well beyond your control can dramatically affect and impact your life no matter where you live or work. “Some pundits predict the imminent collapse of the “American way.” Others are saying our position as a world power has wavered and we are beginning a period of inevitable decline. Our day in the sun is over. What is happening is that we’re now locked in the grips of the ideological battle that was never resolved at our founding. This split was complicated by our Civil War and then further exacerbated by the New Deal. Are we a nation of elected “rulers” who feel that by virtue of their elected status they have the mandate to rule as they see fit. Our founders had a great fear of the problems associated with a large, centralized federal government. It took more than 200 years, but the bill is now past due. Either we’ll step up and re-establish government “of the people, by the people and for the people,” or we’ll step aside and allow a European-style elected aristocracy upon which we will depend for all our needs and wants. I, for one- am not ready to step aside!